"The 'excellent' Emily Crosby is developing a fine reputation in the market for her strengths in healthcare transactions. Sources single out her 'ability to handle complex transactions, getting parties to the table and closing the deal.'" 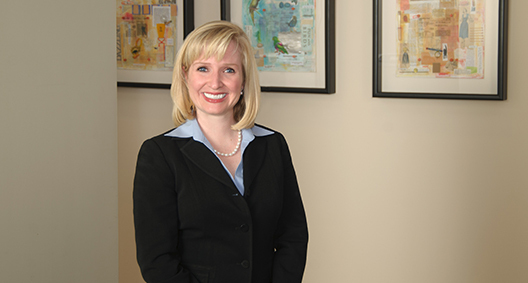 Emily Crosby partners with a broad range of healthcare clients to guide them through the spectrum of transactional matters, including mergers and acquisitions, affiliations, investments and other strategic alignments. Emily focuses particularly on post-acute care, ancillary services, and other institutional and community-based healthcare models. A former chief legal officer and chief administrative officer for Georgia's largest nonprofit integrated healthcare system, Emily brings a wealth of industry knowledge to her practice. She is practical, responsive and outcome-focused in her approach to transactions, as well as tax-exempt and compliance matters. Emily is also chair of the firm's Women's Committee. Acted as counsel to a large operator of skilled nursing and assisted living facilities in connection with $220 million of senior secured revolving, first lien term, and second lien term loan credit facilities. Represented a national long-term-care company with 120 facilities in 19 states as general corporate outside counsel, including multiple acquisitions, divestitures and other transactions. Represented a portfolio of assisted living and skilled facilities in connection with a portfolio sale involving facilities in multiple states. Represented an integrated long-term healthcare system in multiple acquisitions and development projects involving long-term-care facilities, and other transactions involving home health, hospice, rehabilitation therapy, EMS, pharmacy and ancillary services. Working Mother Honors BakerHostetler as One of the "Best Law Firms for Women"
Assists nonprofit organizations Compassionate Atlanta, Neshama Interfaith Center and HaitiReach with registrations and tax compliance matters.